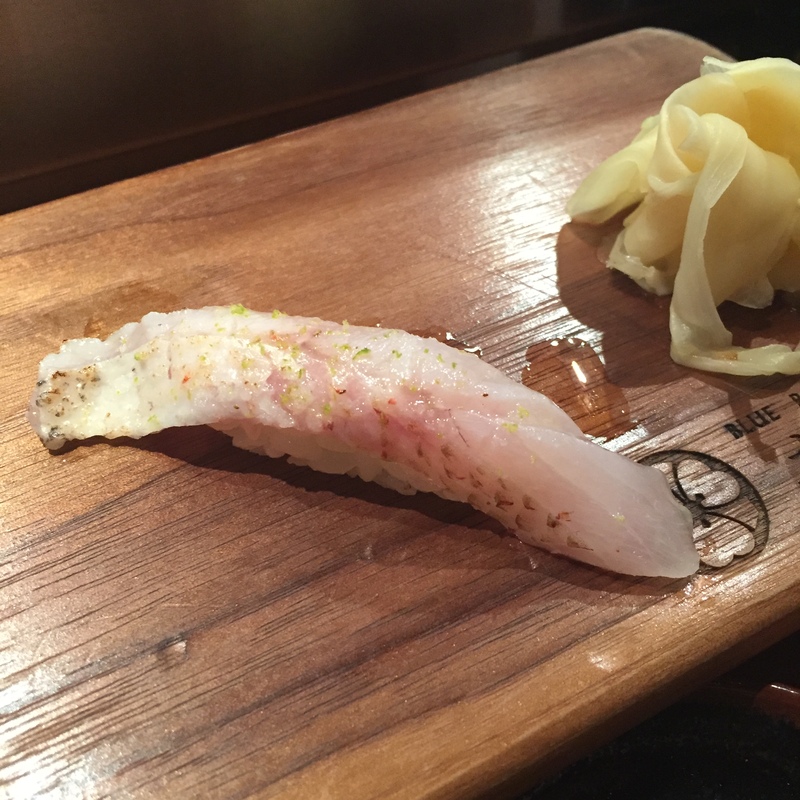 Like Kyo Ya, I’ve probably written way too many posts about Blue Ribbon Izakaya. The reason why I do this is because times do change, and quality can differ. Since Takashi-san left Blue Ribbon Izakaya to go to Blue Ribbon Sushi (which I’m not really a fan of), we really limited our visits to Blue Ribbon Izakaya. We used to go every few weeks. We’ve tried a number of other “head chefs” there, and it was one disappointment after the next. In July 2017, we dined for the first time with Kama-san. 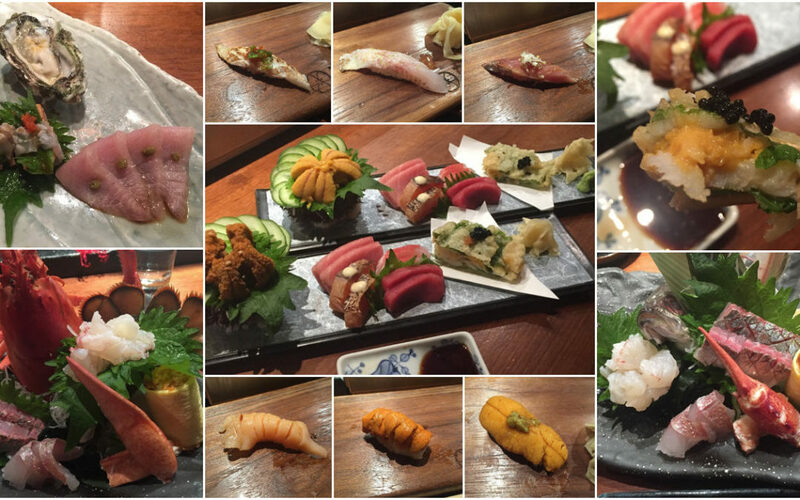 It wasn’t Taksashi-san’s omakase, but it was a perfectly good, respectable omakase! Since then, when we visit, we do specifically ask to be served by Kama-san. 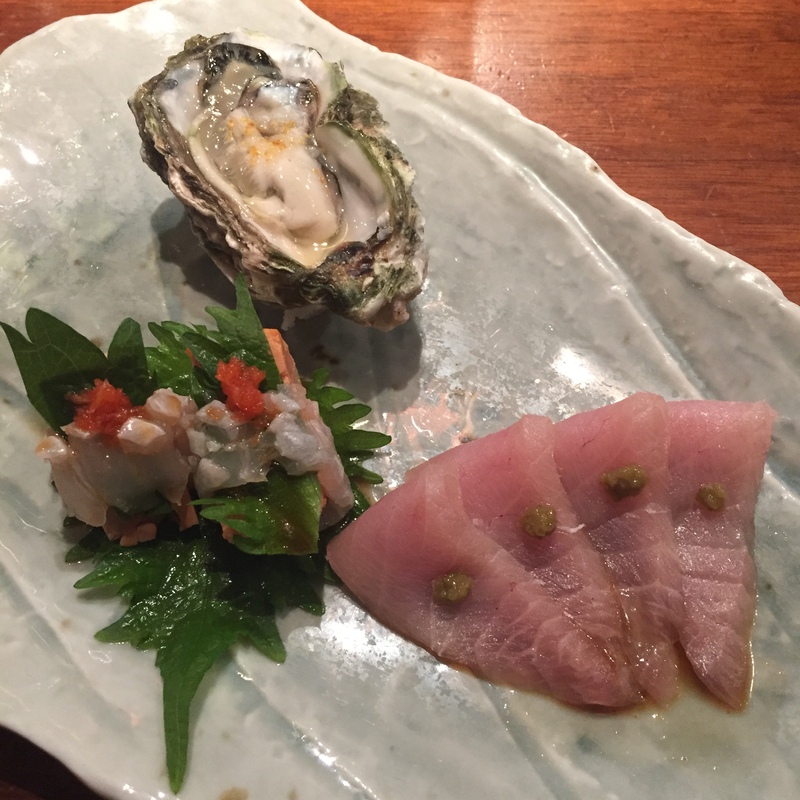 Kumamoto Oyster – Very fresh! The combination of a super savory ANKIMO (Monkfish Liver) wrapped in a fresh SHISO (a very mild Japanese mint) and mild but highly textured fish like ENGAWA (Fluke fin) and topped with MOMIJI OROSHI (Grated Daikon Radish marinated with red chili pepper), easily makes this one of my favorite servings. 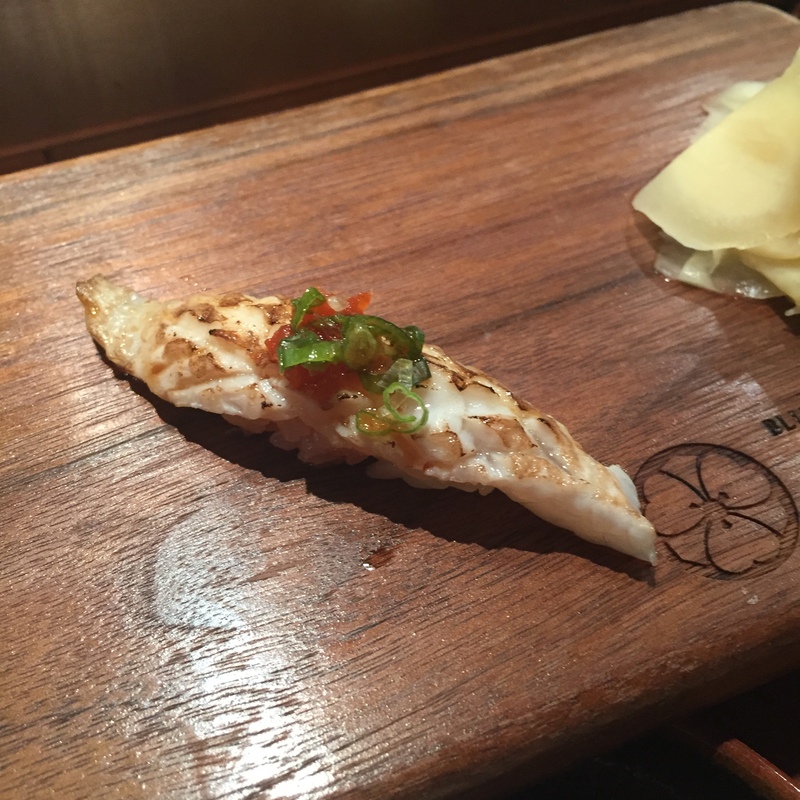 HAMACHI SUNAZURI (Young yellowtail belly) topped with jalapeño pepper sauce. I like this, but it’s just a BORING fish to me. 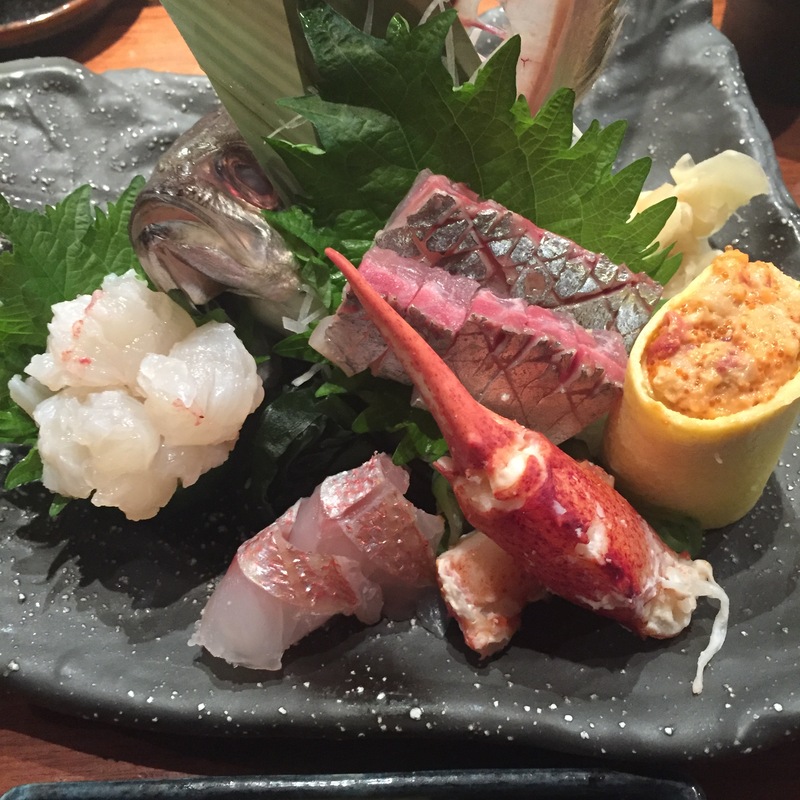 Small Plate 2 & 3 – ISE EBI (lobster made 3 ways), AJI (Japanese Mackerel), and KASUGODAI (Baby sea bream) separated into 2 plates. 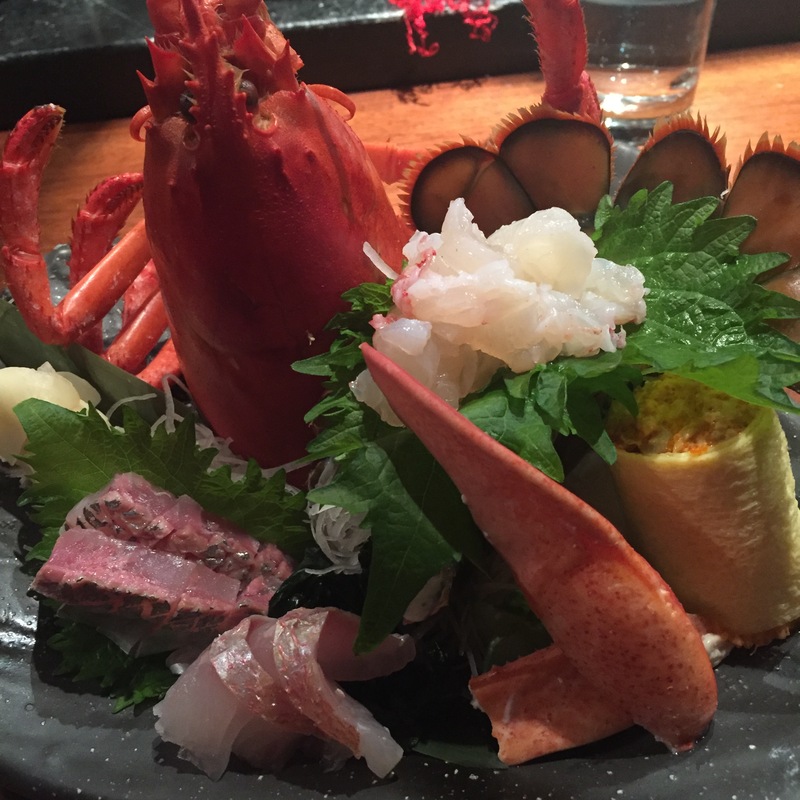 For details on how the lobster is made 3 ways, or the whole AJI, and its bones, please refer to a previous post (July 2017 and others), It was all super delish. Live MAINE UNI – Despite the very different looking photos, both servings are Maine. Live UNIs are just not very consistent in look/texture. They actually taste very, very similar though. Great for Maine, but not nearly comparable in richness of flavor to a Hokkaido or Santa Barbara. 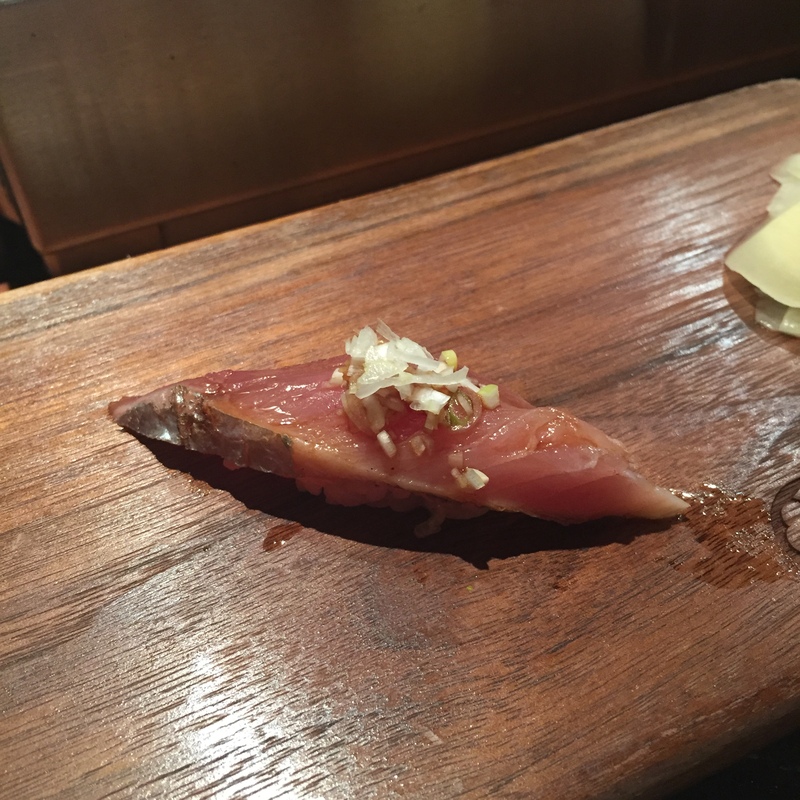 CHUTORO (Medium Fatty Tuna) – I didn’t love this. 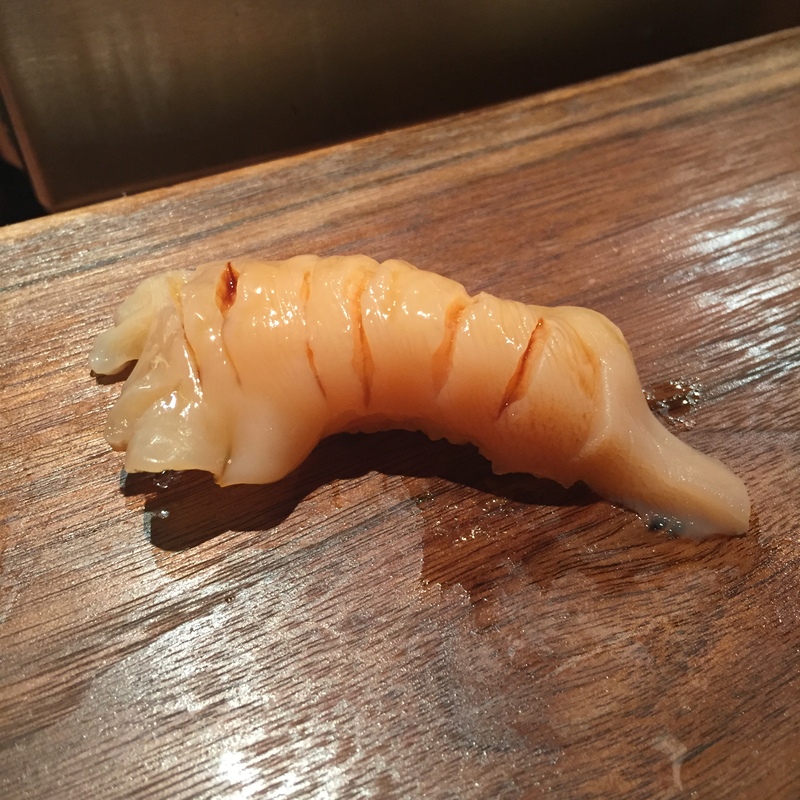 For the first time at Izakaya, this cut had definitive chew, and a tinge of funky something. 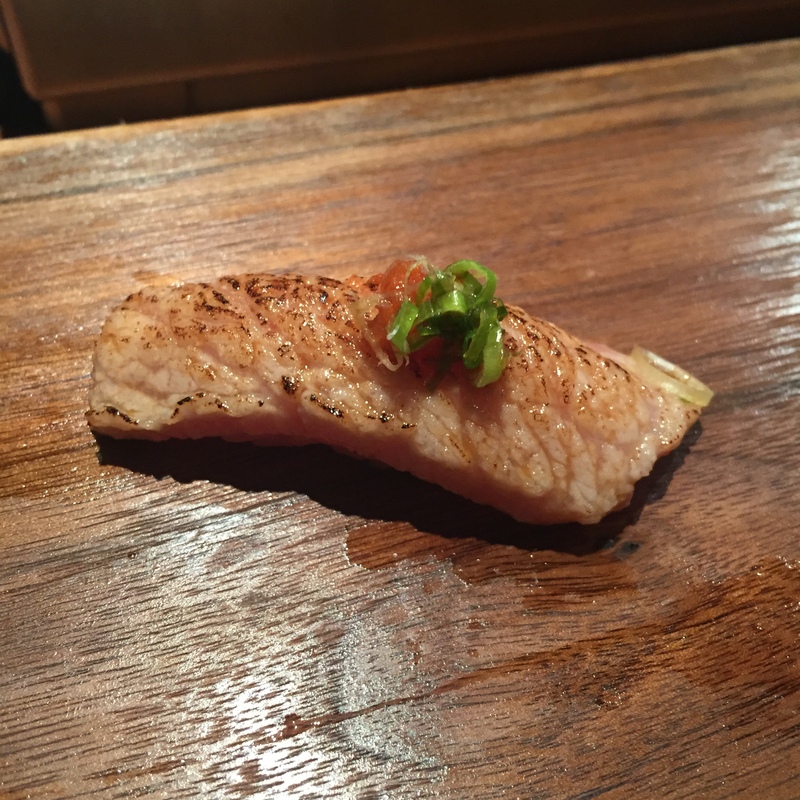 AKAMI (Lean Bluefin Tuna) – Same reasons as the CHUTORO, not loving it. This is a shame, as I am a huge fan of AKAMIs. 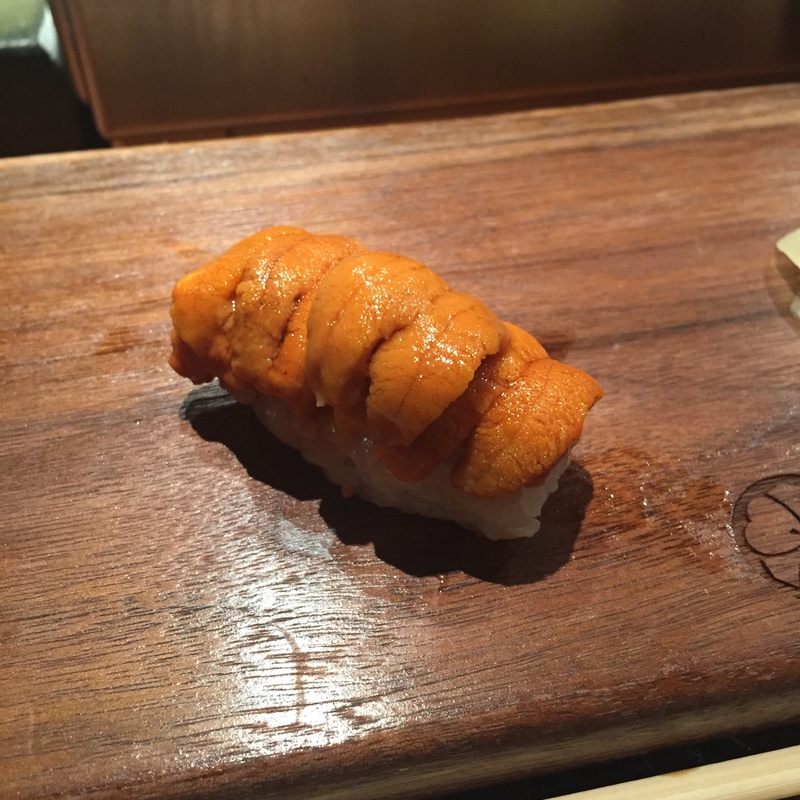 UNI/HOTATE deep fried sandwich – My favorite item on the sashimi plate! How is every restaurant not serving this? It’s the most tastiest thing in the world. 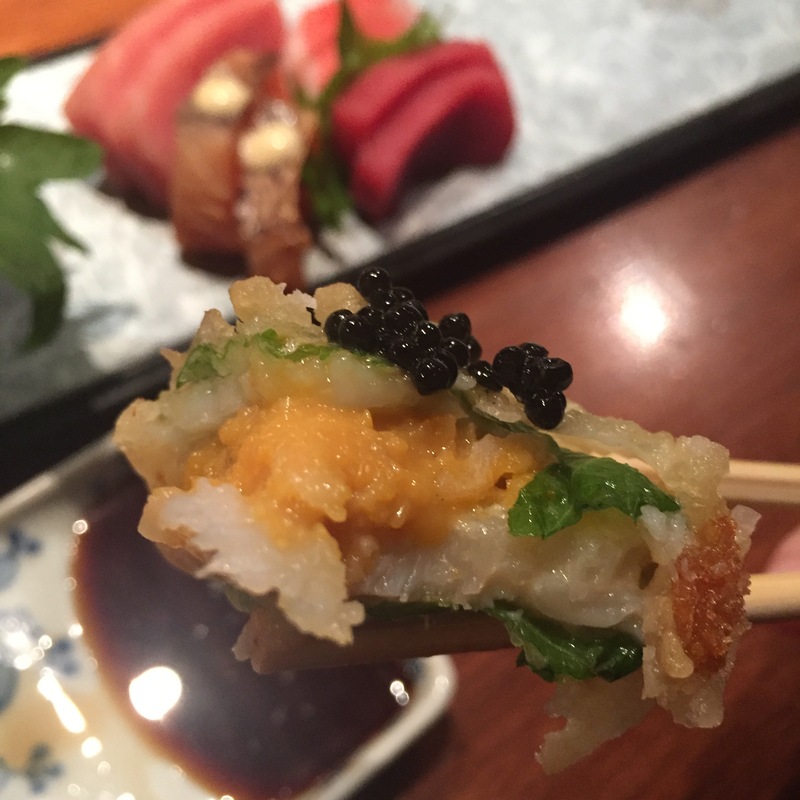 UNI sandwiched in Raw HOTATE (Scallop), sandwiched in SHISO, deep fried, topped with sea salt, MOMIJI OROSHI and Hackleback caviar. OMG – Awesome sauce! 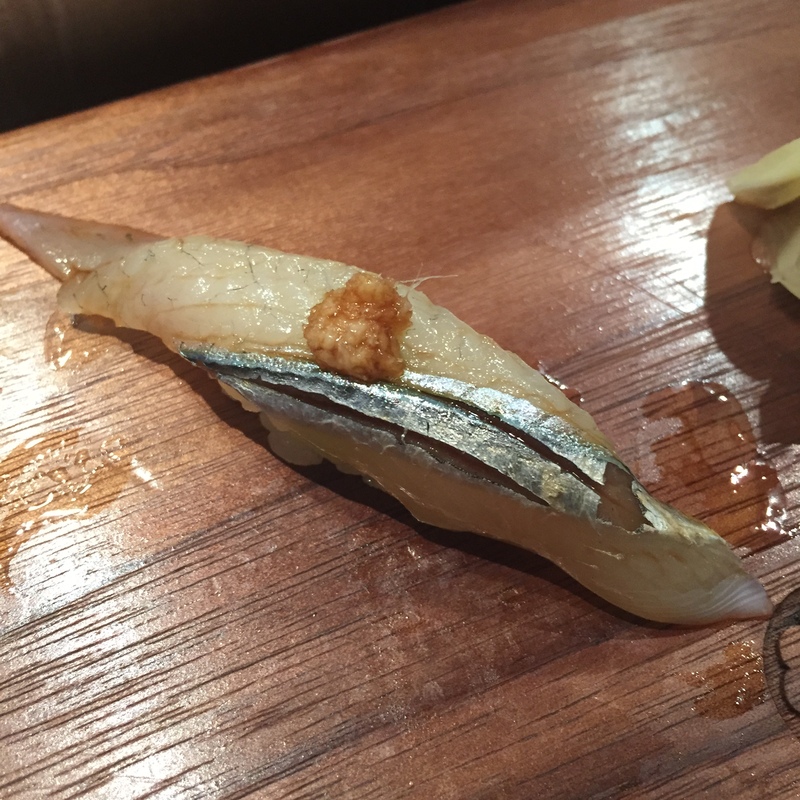 SUMATHI KATSO (type of Bonito) – Usually not a fan of BONITO, but this was on the milder side of the BONITO fishiness scale. With the Japanese onions, very nice. Different, and I always give points for different! SAYORI (Needle fish) – Unattractive, huh? Agreed. This is one of the least attractive SAYORIs we’ve seen. No matter, it tasted beautifully! Topped with grated mild ginger, lovely! 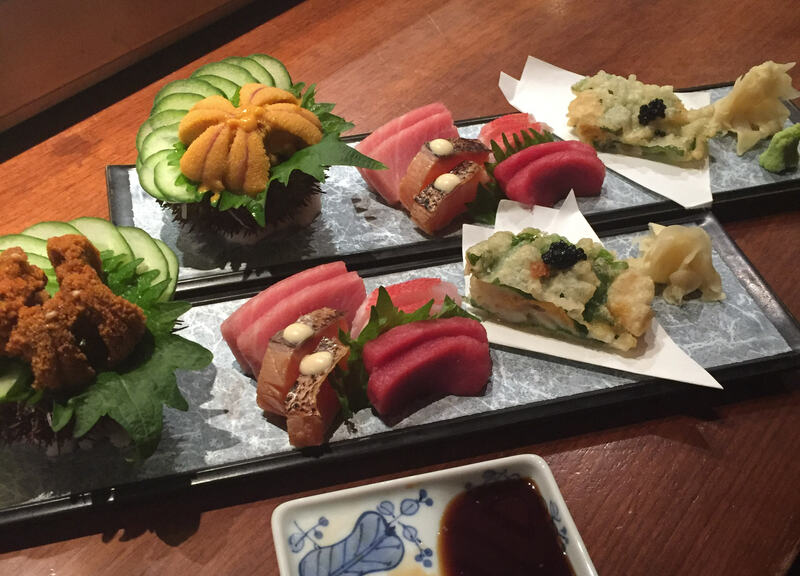 OTORO (Super fatty tuna) – ABURIed (torced), and topped with MOMIJI OROSHI, this is super tasty! I don’t know when they decide to ABURI versus not ABURI, I’m a fan of both. Tonight, the ABURIed version worked perfectly. 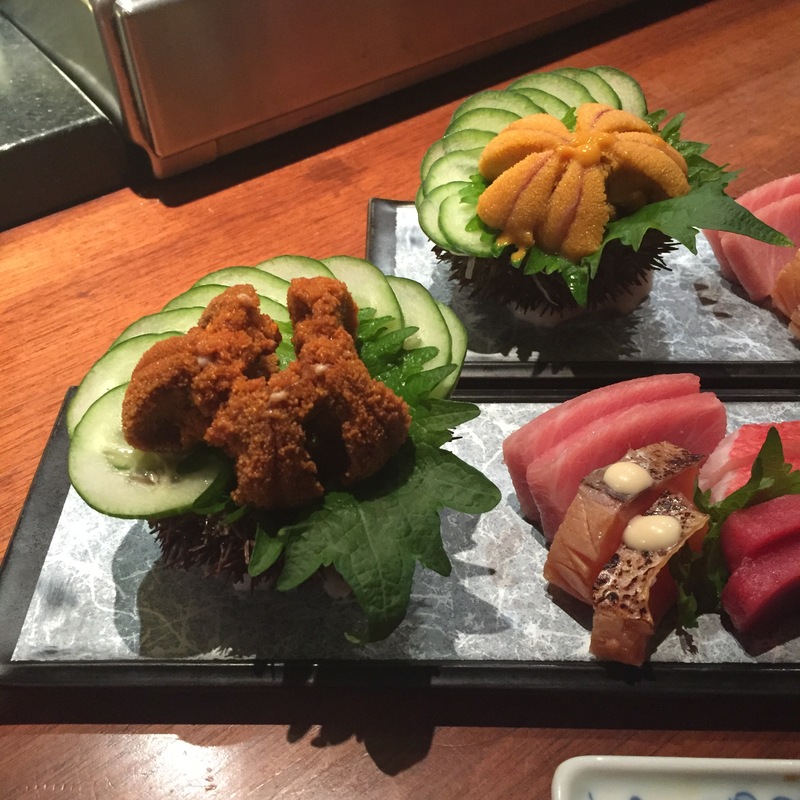 HOKKAIDO UNI (left) – Spectacular! 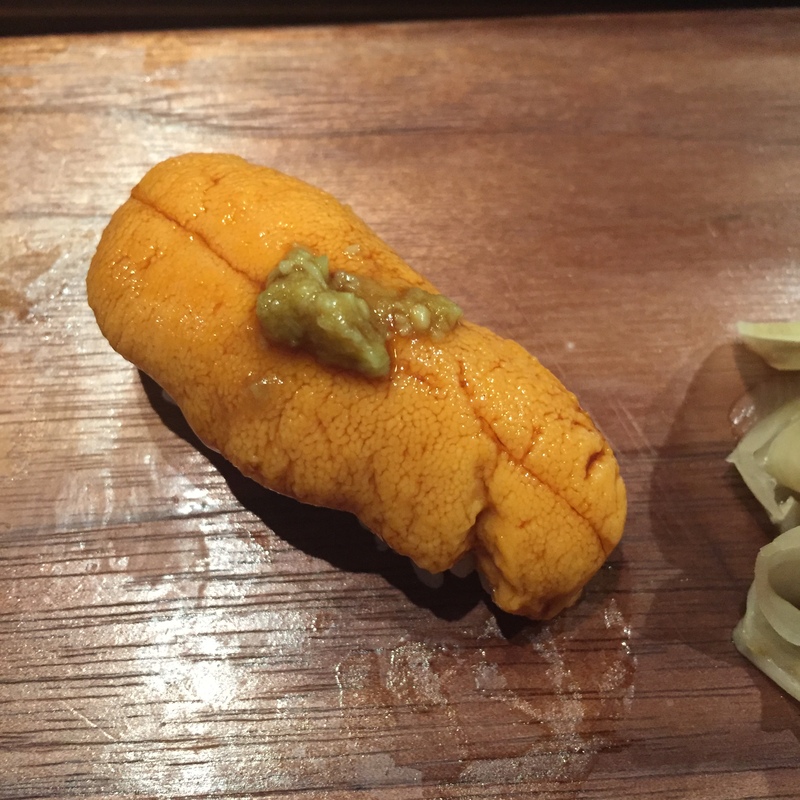 Santa Barbara UNI – I don’t believe this, but tonight, I think I preferred the HOKKAIDO. It was sweeter, nuttier, just overall fuller in body. The Santa Barbara one looked beautiful, but just wasn’t nearly as rich in flavors. 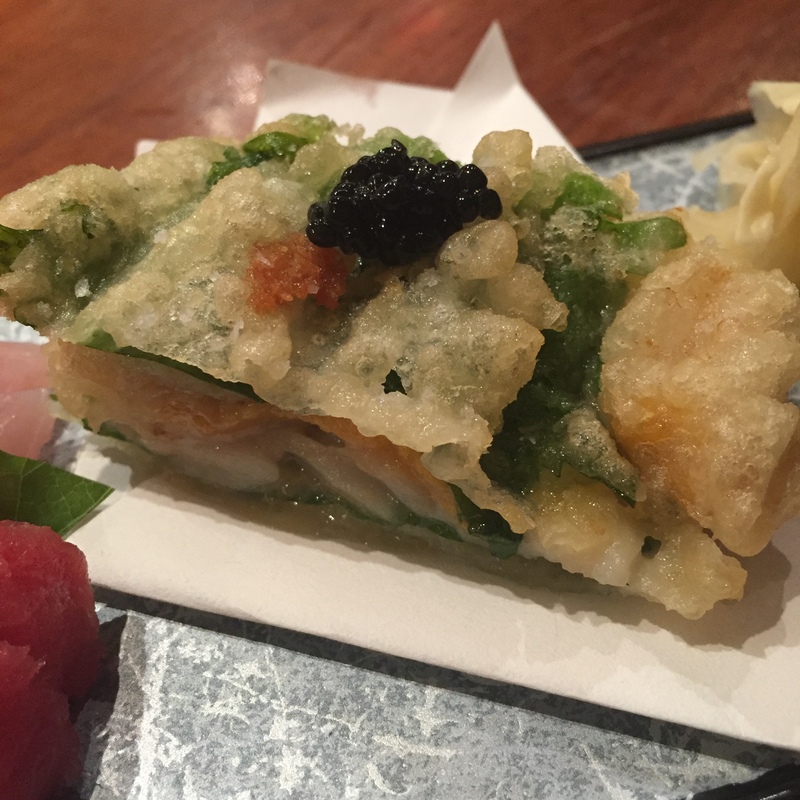 MIRUGAI (Giant clam) – I did not have this, I was stuffed beyond believe. They really give you a TON of food here. Boyfriend likes to end with something crunchy, and he loves his GAIs (clams). He said it was delicious, and the crunch was magnificent. 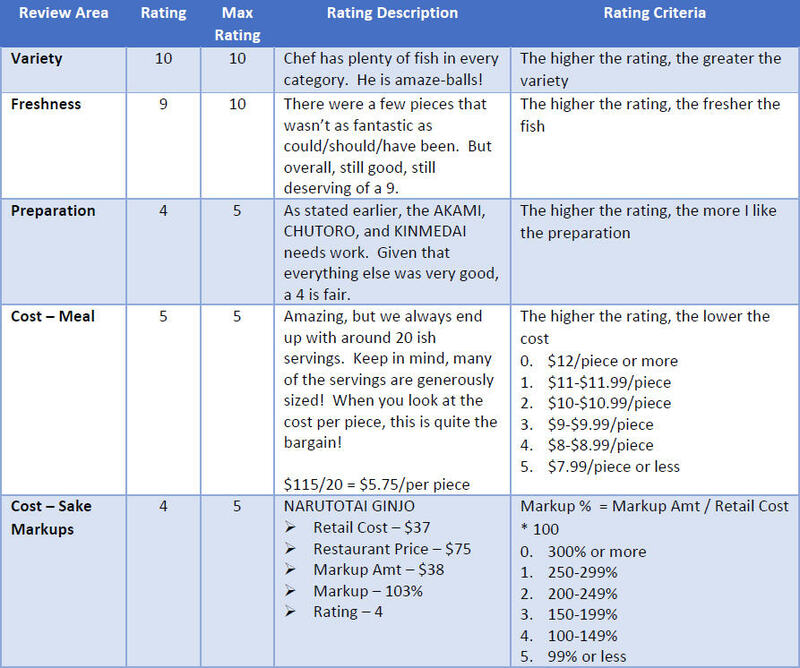 There are a couple of small things that need tweaking, for example, the Tunas and the KINMEDAI (refer to above). Others would consider that a major tell-tell, but I’m not one of those people. Kama-san is really growing on me, see you soon chef!